A new Xbox is years away, but it's now a much more solid prospect than it was a few days ago. Job listings discovered on the professional networking site, Linkedin, hint that Microsoft is hiring staff to work on the successor to the Xbox 360. The company is looking for a graphics hardware designer and an audio hardware designer to work on "next generation console architectures." Each role has different duties, but for each Microsoft wants people who have experience in taking projects like this from "investigation" - or in other words, from scratch - all the way up to end-customer shipping. This strongly suggests that the project is in the earliest of stages, meaning that it will be some time before the next Xbox comes to market. 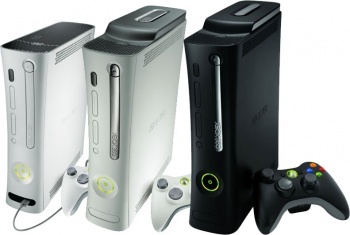 Around two and a half years seems like a reasonable estimate - as that's roughly the amount of time it took to develop the 360 - so we could be looking at a new console for the holiday period in 2013. Microsoft has previously claimed that the launch of Kinect represented the mid-point in the 360 lifespan, and that it had another five years in it. That's not necessarily incompatible with a new hardware release in, or around, 2013 though. There's going to be an overlap, and it's not inconceivable to think that the last eighteen months or so of the Xbox 360's life will be after Microsoft's next console comes out.